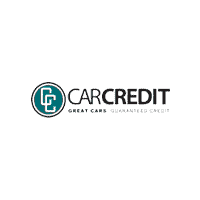 Car Credit in Northwest Tampa | Car Credit Inc.
At Car Credit in Northwest Tampa, we strive to make our customers happy. Below, you can see our hours of operation, and also get step-by-step driving directions from your doorstep to ours. While you are here, you can see our extensive inventory of used vehicles for sale. We work hard to get you into the vehicle you have always wanted. That new car or truck is waiting for you, and we deal with a wide variety of lending sources to make sure you will get the most complete and comprehensive car loan and auto financing package available.